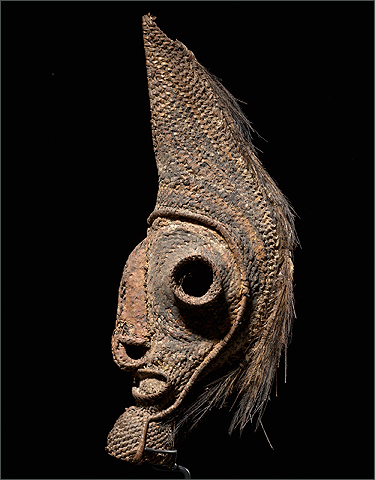 This is an incredible example of a woven Yam mask done in a totally inventive rare style. 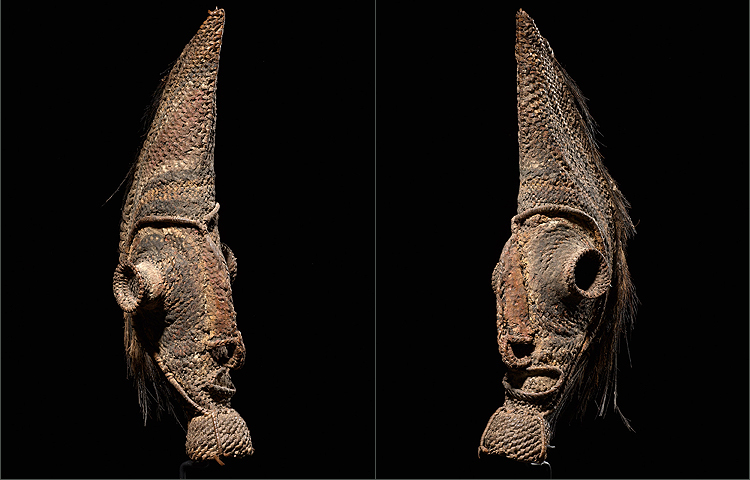 Not only is the squeezed and narrow form unusual; the projecting eyes and asymmetric smirk make for an extremely memorable work of art. 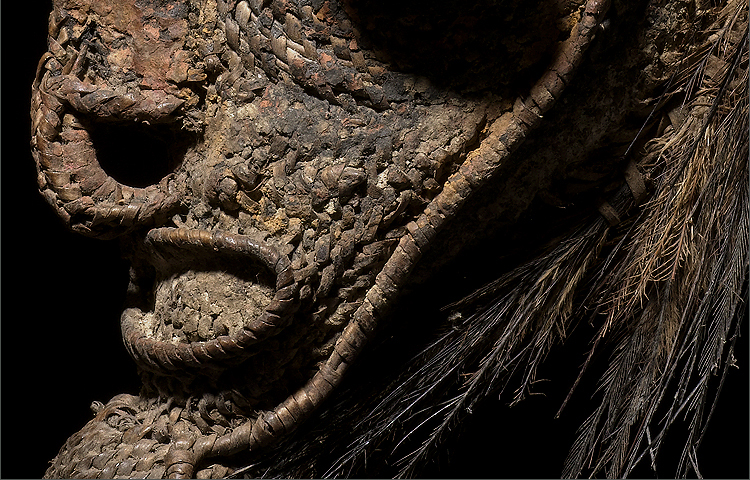 The mask has most of its old oxidized original pigments still intact; in addition to tied in and woven cassowary bird feathers attached down the whole back of the mask. 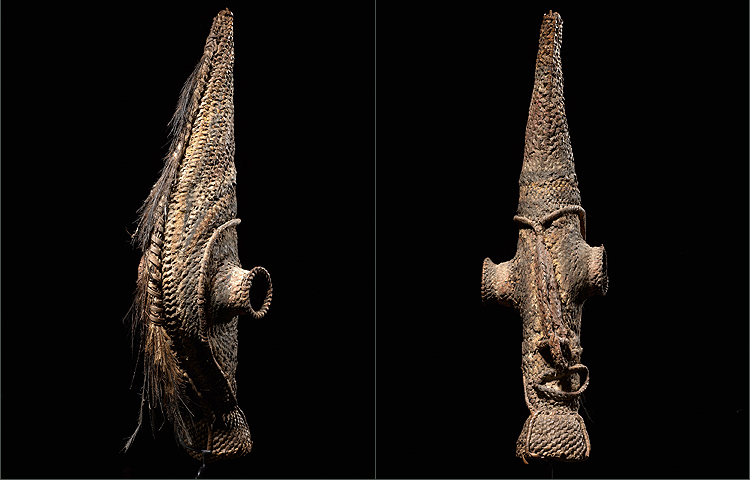 The septum is pierced which is an old tradition of Sepik art. In excellent condition for its age. 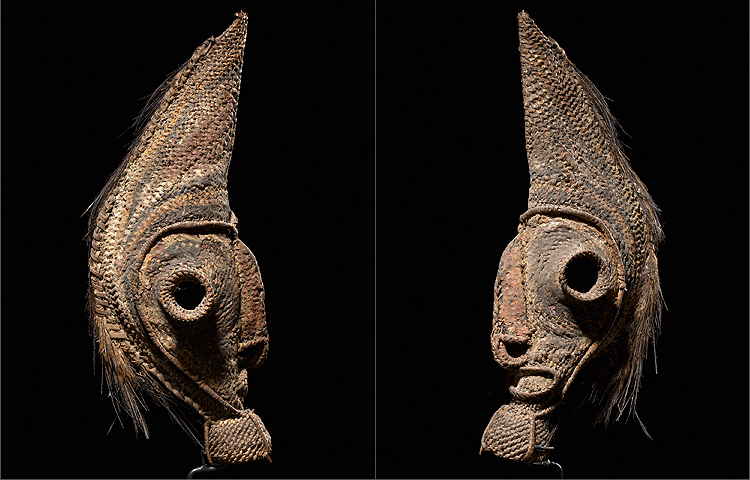 This mask stands 12.5” tall.